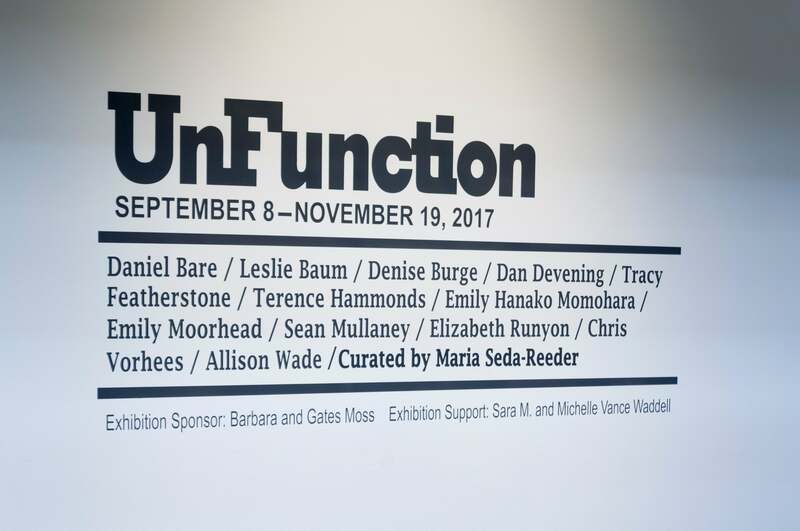 CINCINNATI, Ohio—On Friday, September 8, from 6 to 8 p.m., the Cincinnati Arts Association’s Alice F. and Harris K. Weston Art Gallery in the Aronoff Center for the Arts will kick off its twenty-third exhibition season with the opening of UnFunction, a group exhibition curated by writer and independent curator Maria Seda-Reeder (Cincinnati, OH) that examines the intersection of functional objects and fine art. Artist and ceramics professor Daniel Bare (M.F.A. in Ceramic Art, Alfred University, NY) creates abstracted yet recognizable sculptures and wall hangings from reclaimed mass-produced objects. Bare compiles objects that are no longer valued into monumental symbols of waste that expose the gluttonous tendencies of our consumer culture. 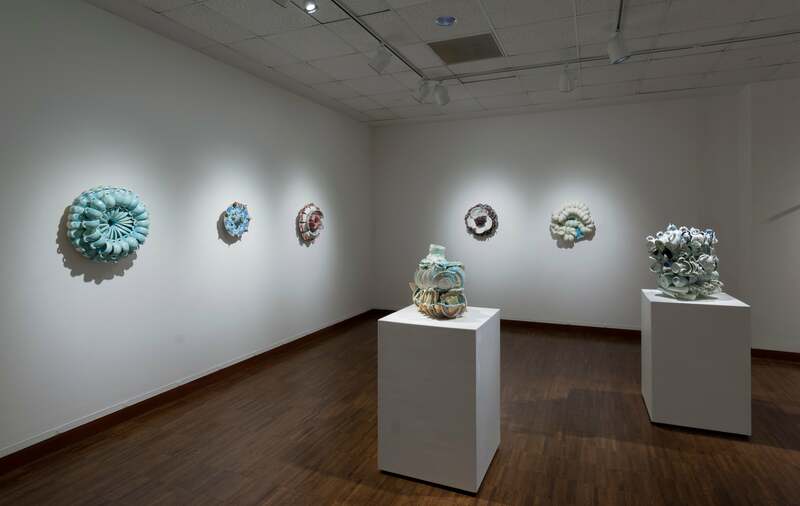 His practice in clay and professional experience includes international and national artist residencies at acclaimed programs in China, Japan, Canada, and the United States. 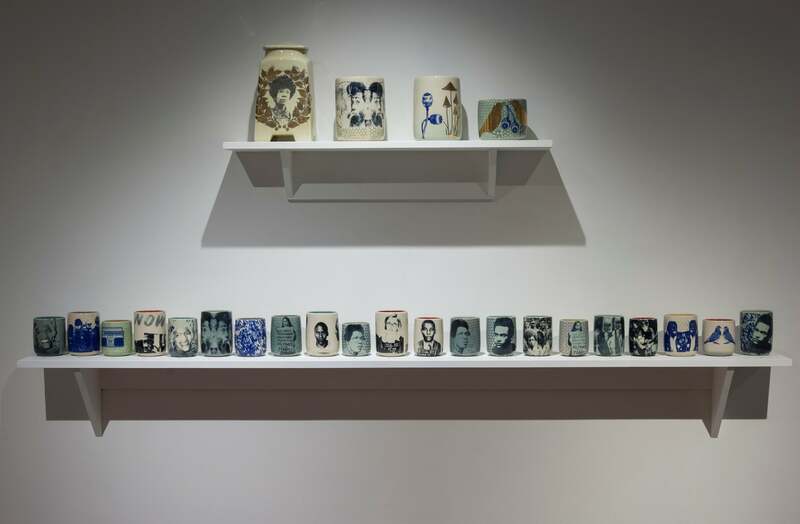 He has exhibited and presented public lectures about his work at the Beijing Fine Art Academy in China, the Michigan Ceramic Art Association, the National Council for Education in the Ceramic Arts (NCECA) conferences, and many universities and art centers in the US and abroad. He is a full-time Lecturer in the Art Department at Clemson University. 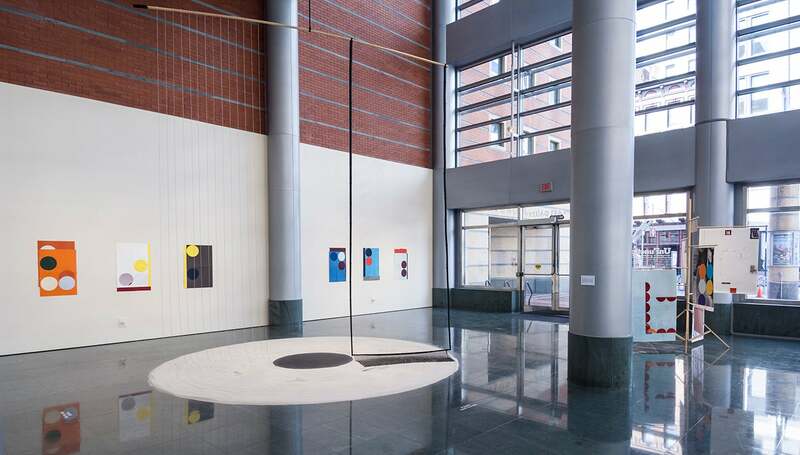 Artist and arts educator Leslie Baum (B.A., University of Vermont) invokes the signifiers of fine art to make intimately immersive art installations in a process that is guided by drawing in paint. 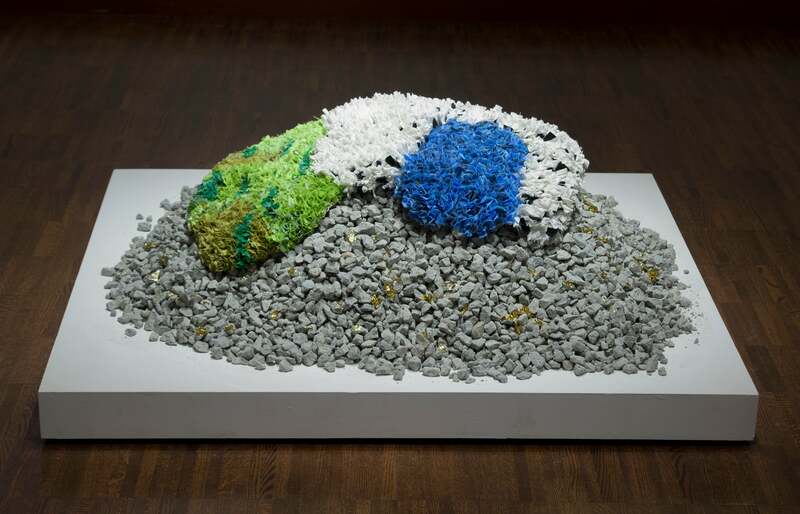 Having spent much of her young life in museums, her work is both directly and indirectly art historical in nature. 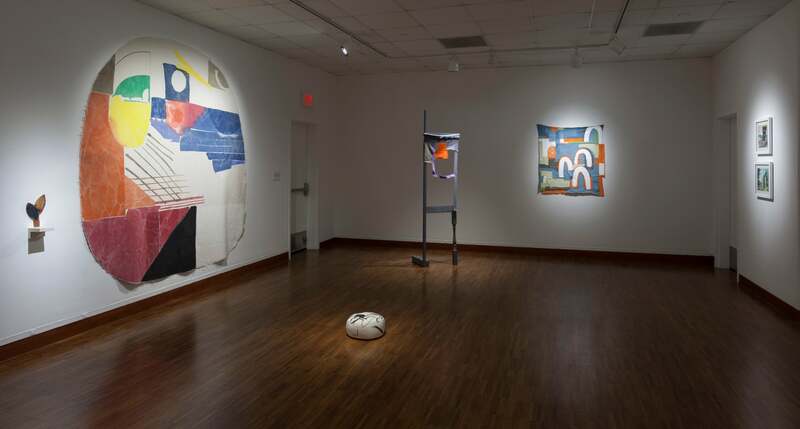 Baum’s painting-based installations are invitational, deeply informed by her twenty plus years as a museum educator at the Art Institute of Chicago. The source imagery transforms through use, repetition, and the imperfection of the hand, evolving away from the original and toward something new. 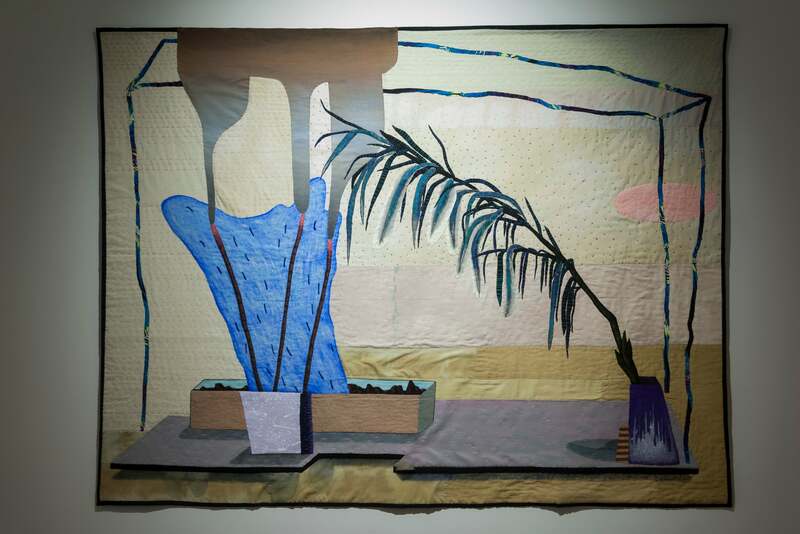 Multimedia artist and quilt maker Denise Burge (M.F.A. 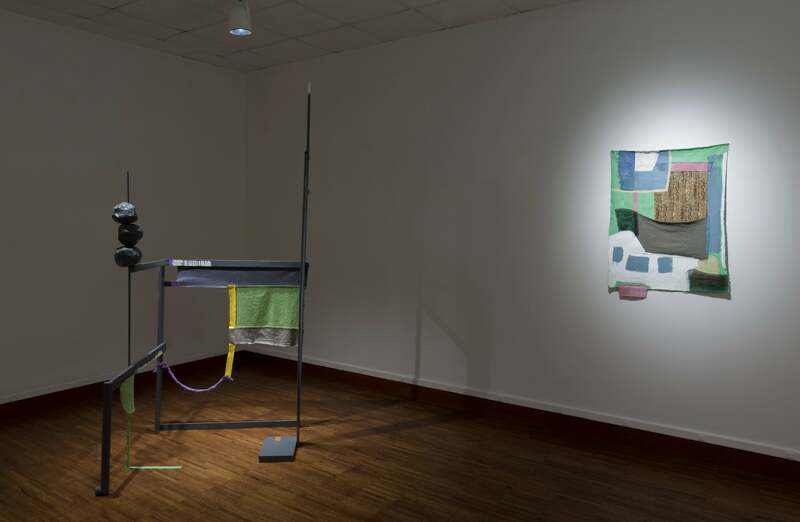 in Painting, Virginia Commonwealth University) uses line and form in fabric to limn moods and tell universal truths. 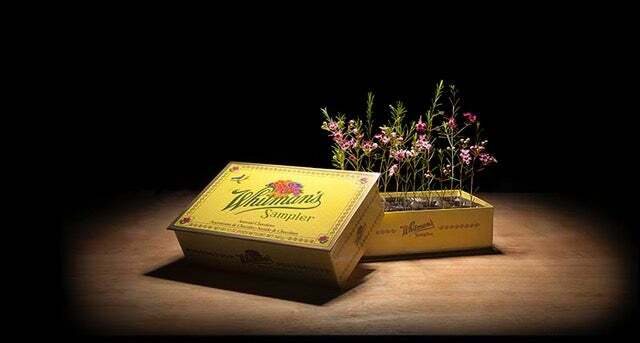 She is a Professor of Art at the University of Cincinnati’s College of Design, Architecture, Art & Planning. 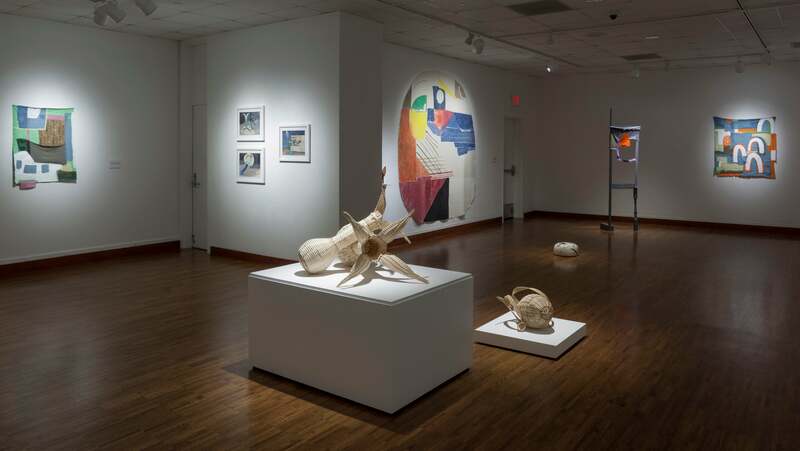 Burge has received multiple Ohio Arts Council Awards for Individual Artists and has carried out residencies at the Fine Arts Work Center (Provincetown, MA) and the Headlands Center for the Arts (Sausalito, CA). 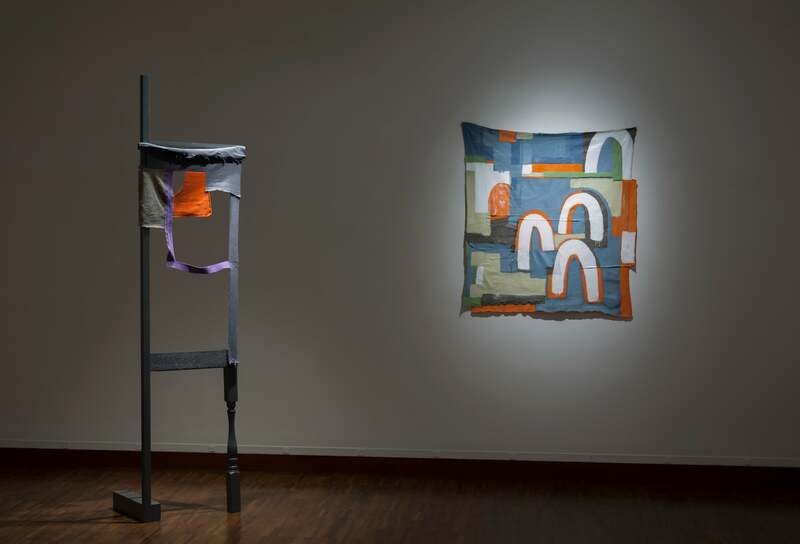 In 2004, she was awarded the Joan Mitchell Foundation Award for Visual Art for her quilt work. 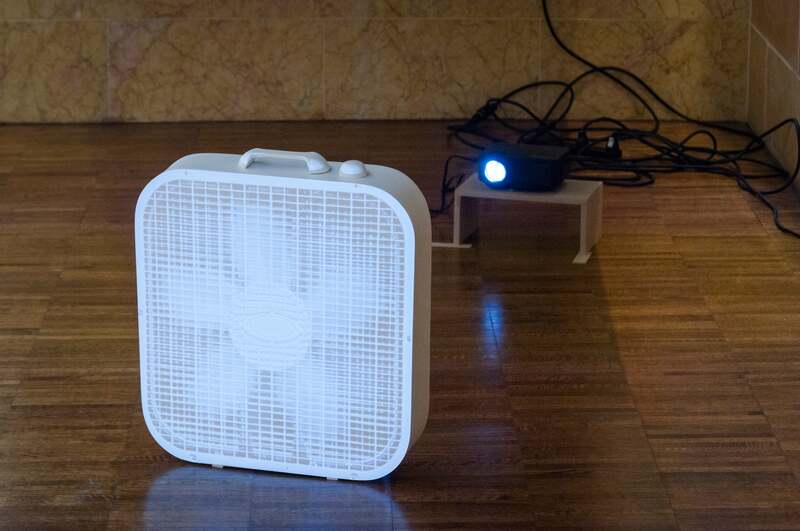 She has exhibited video installation work with collaborators Maidens of the Cosmic Body Running (comprised of Burge, Jenny Ustick, and Lisa Siders Kenney) at the Contemporary Arts Center in Cincinnati; the New Harmony Gallery of Contemporary Art (New Harmony, IN); and the Kentucky Museum of Art and Craft (Louisville, KY). 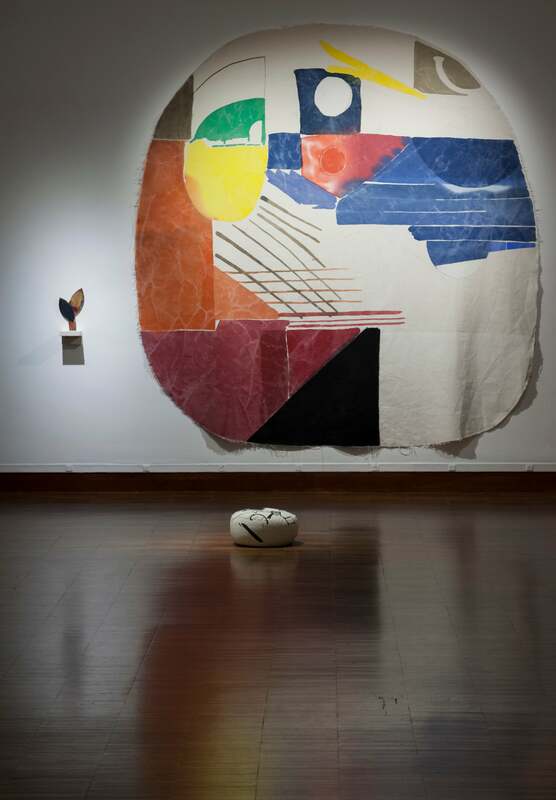 Currently, Burge has returned to the quilt medium and was awarded a residency in New Orleans at the Joan Mitchell Center to create a new body of work. 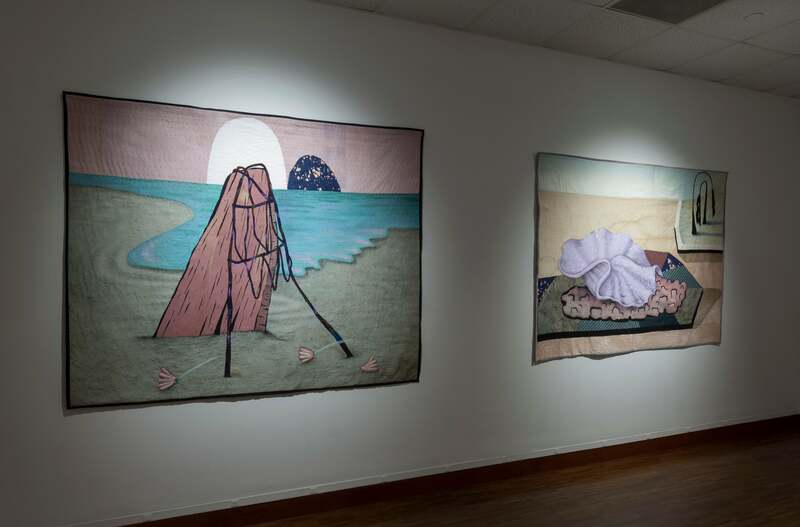 She continues to employ both quilt and video in her practice. Artist and ceramics professor Dan Devening (M.F.A. 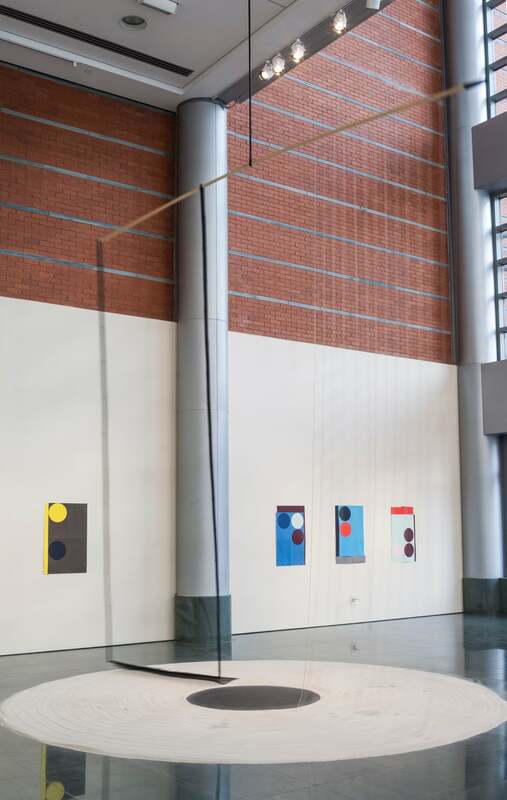 in painting, University of Illinois at Chicago) engages with simple materials like paper, dowel rods, and paper clips to make sculptural paintings that hint at what is being shown and what is being obscured. 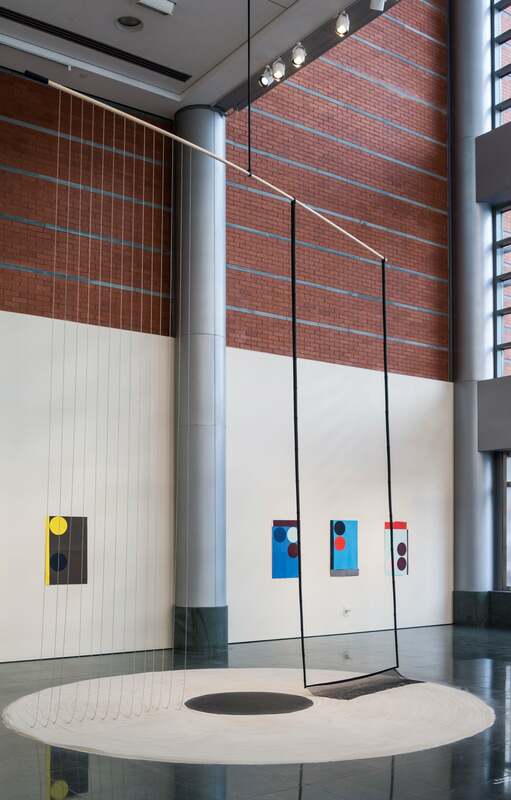 The Chicago-based artist, curator, and educator currently serves as Adjunct Professor of Art in the Department of Painting and Drawing at the School of the Art Institute of Chicago, Director of Devening Projects, and Co-director of Paris London Hong Kong—both galleries located in Chicago. 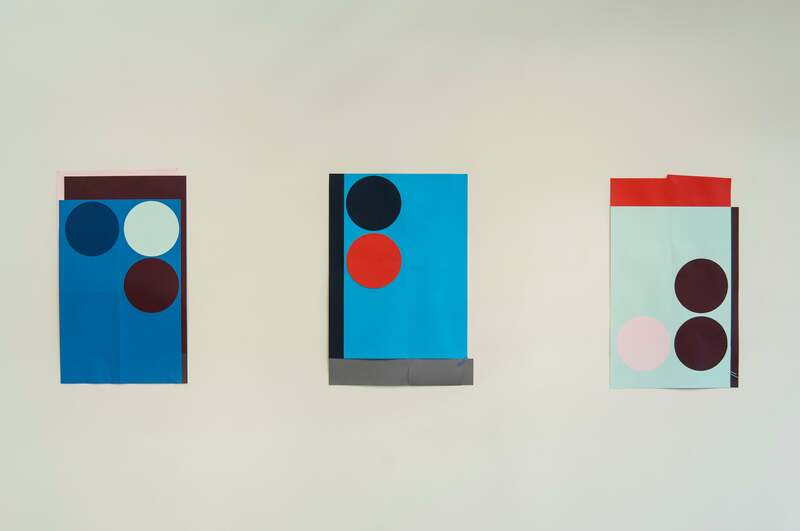 Since the mid-1980s, his paintings and works on paper have been shown nationally and internationally. 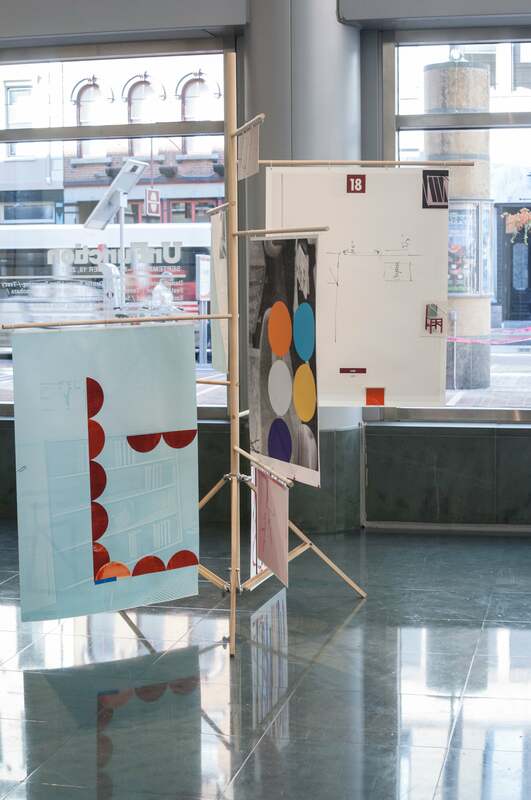 Devening has been awarded grants from the National Endowment for the Arts and the Illinois Arts Council, and has recently received commissions for site-specific works from the Chicago Transit Authority, The Four Seasons Hotel, and Neiman Marcus in Chicago. 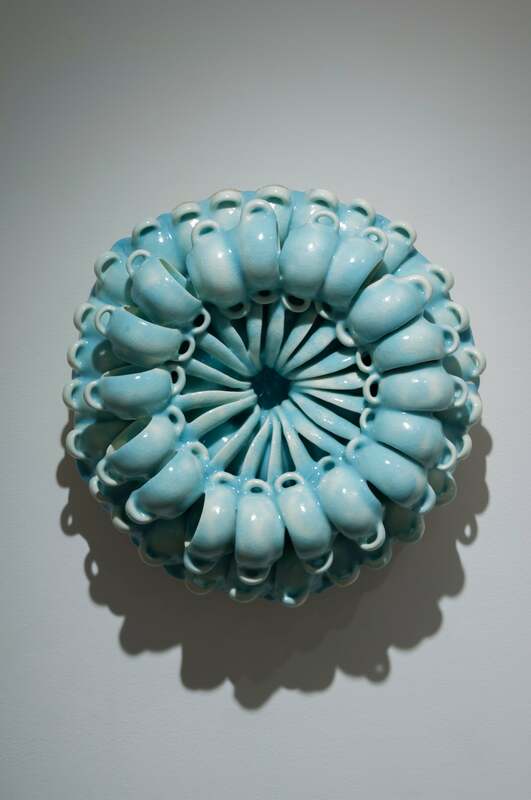 Sculptor and ceramicist Tracy Featherstone (M.F.A. 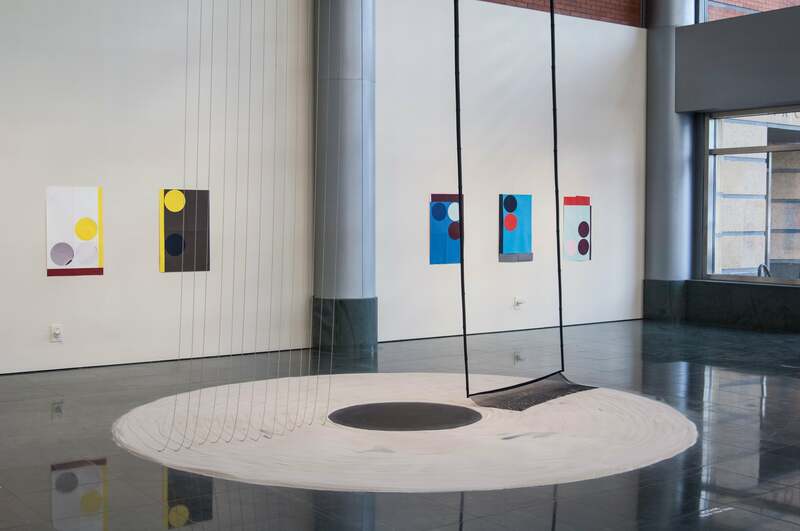 in Printmaking, University of Arizona) makes abstracted objects from pragmatic materials that seem to have a mysterious purpose. 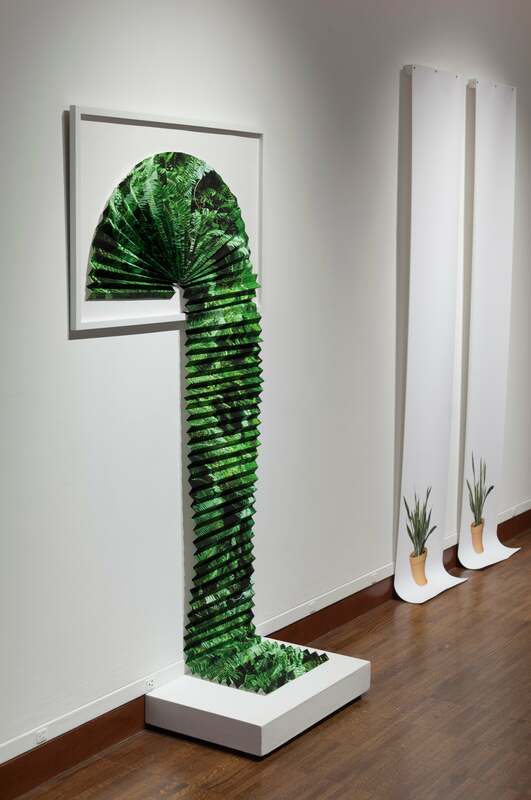 Her current work explores the notion of landscape and interactive sculpture. In 2006 and 2013 she received Ohio Arts Council Awards for Creative Excellence. In 2013, she won support from the United States Embassy for a three-month residency in Prague, CZ. 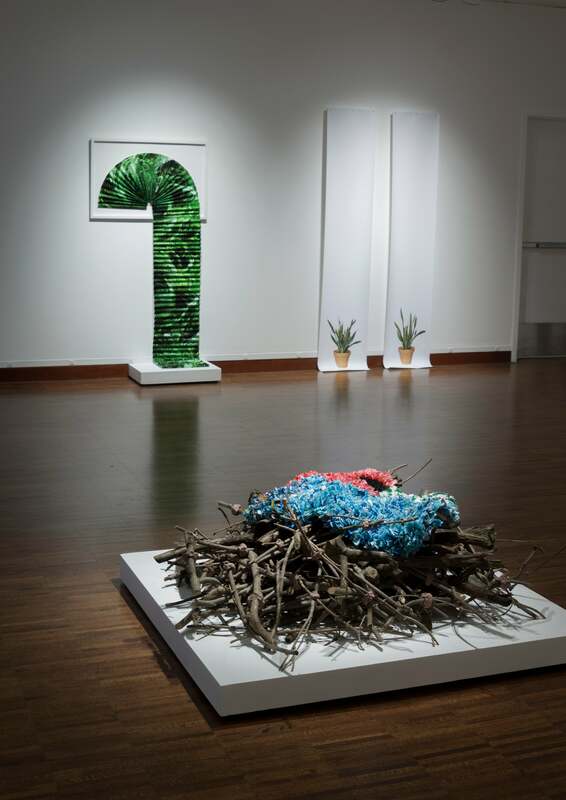 Featherstone’s interactive sculptures have been commissioned by the Contemporary Arts Center (Cincinnati, OH), and her work has been exhibited both nationally and internationally. She is a tenured Professor of Printmaking, Drawing, and Sculpture at Miami University in Oxford, OH, and lives and works in Hamilton, OH. Artist and ceramicist Terence Hammonds (B.F.A. 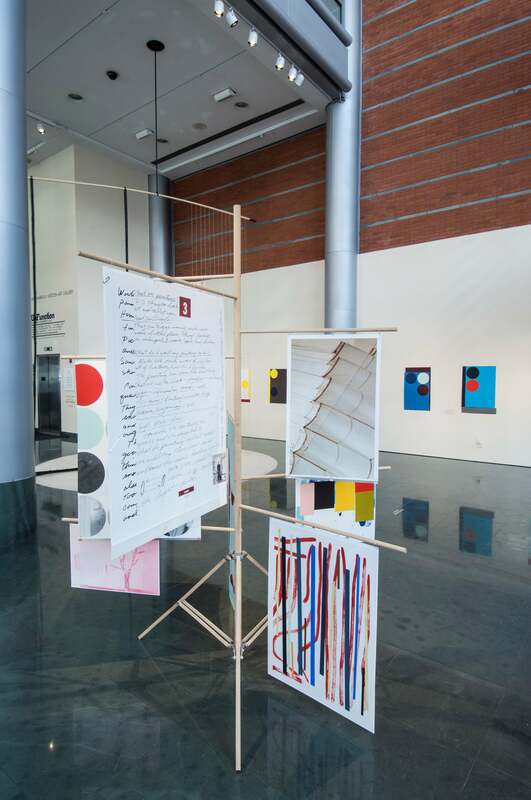 Tufts University in partnership with the School of the Museum of Fine Arts, Boston) makes quotidian objects that demonstrate the revolutionary history of radical American subcultures. His work is informed and inspired by the struggles and determination of African-Americans seeking equality during the civil rights movement of the 1960s, and fuses imagery from that era with soul, funk, rap and punk music sensibilities. Hammonds combines this appropriated imagery with decorative motifs and patterns that adorn, memorialize, and abstract histories of racial identity in America. His work is held in both private and public collections including the Museum of Fine Arts Boston, 21c Museum Hotel, and the Cincinnati Art Museum, and has been exhibited at the Contemporary Arts Center (Cincinnati, OH), Crystal Bridges Museum of American Art (Bentonville, AR), the Wadsworth Atheneum (Hartford, CT), and the Museum of Fine Arts (Boston, MA). Emily Hanako Momohara (M.F.A. in Expanded Media, University of Kansas) is a lens-based artist who makes sculptural photography about multicultural identities. She is Associate Professor of Art at the Art Academy of Cincinnati where she chairs the photography major. 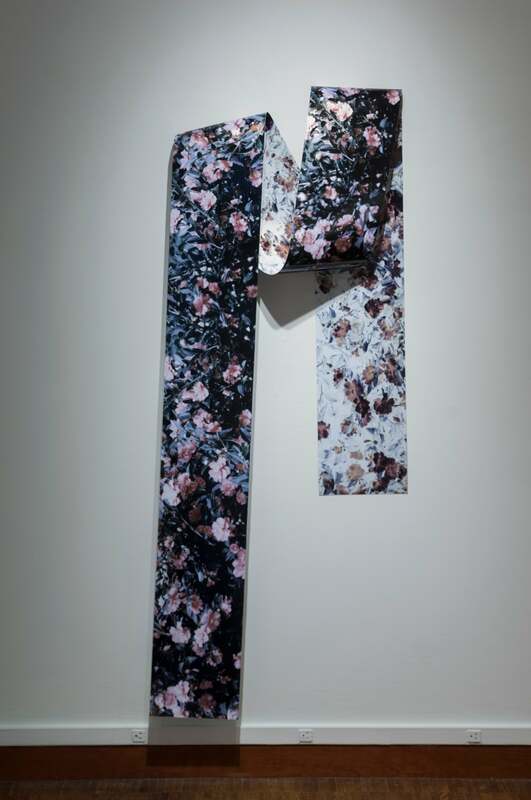 She has exhibited nationally and internationally, most notably at the Japanese American National Museum (Los Angeles, CA) in a two-person show titled Sugar Islands (2015), and the 2015 Chongqing Photography and Video Biennial (Chongqing, China). 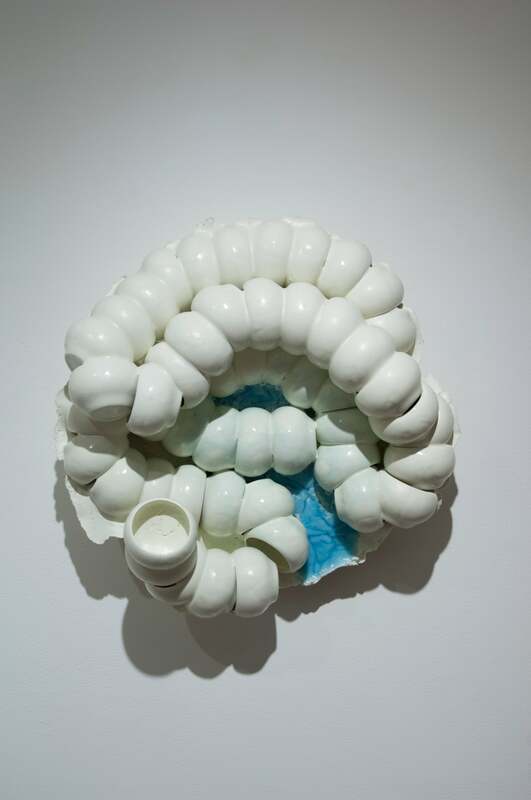 She received an Ohio Arts Council Excellence Award in 2011 and has been a visiting artist at several residency programs including the Center for Photography at Woodstock (Woodstock, NY), Headlands Center for the Arts (Sausalito, CA), Fine Arts Work Center (Provincetown, MA), and Red Gate Gallery (Beijing, China). Emily Moorhead (M.F.A. 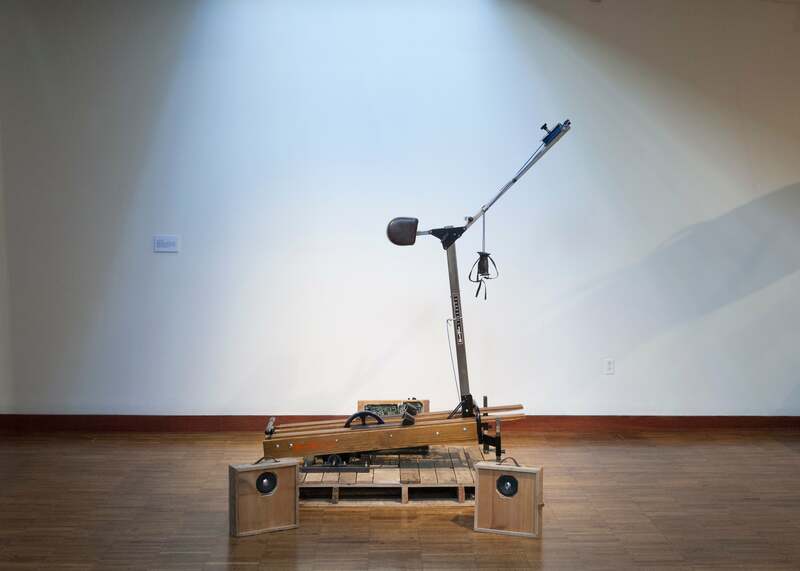 in Interdisciplinary Fine Arts, Washington University in St. Louis, MO) is a sculptor who creates serendipitous machines of futility. 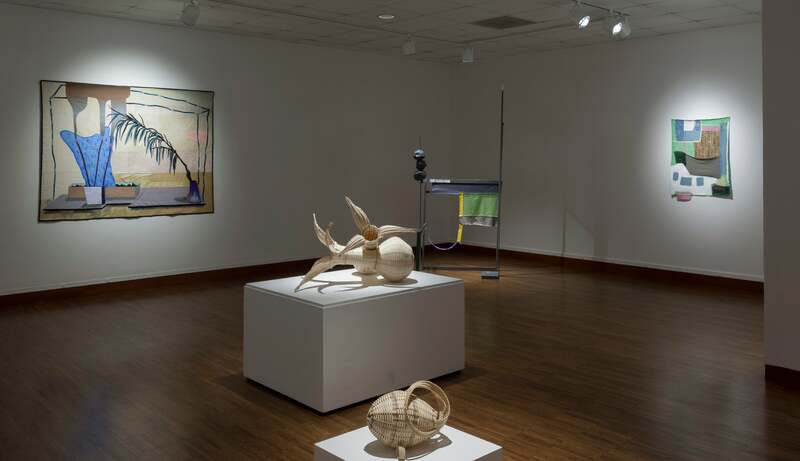 Her sculptural works have been exhibited nationally and she has been a featured lecturer at various institutions including Capital University (Columbus, OH) and Northwestern University (Evanston, IL). She has also been artist-in-residence at Torpedo Factory Art Center (Alexandria, VA), FugScreens Studios (Chicago, IL), and the Springer School and Center (Cincinnati, OH). 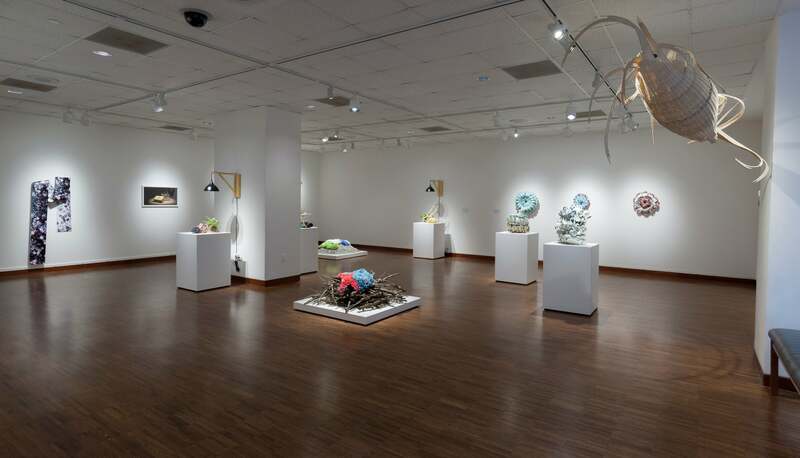 As an artist and art advocate in Chicago, Moorhead currently serves as Board President for Chicago Sculpture International, a non-profit organization devoted to championing sculptors and the creation of sculpture through public exhibitions and programming. Sean T. Mullaney (B.S. 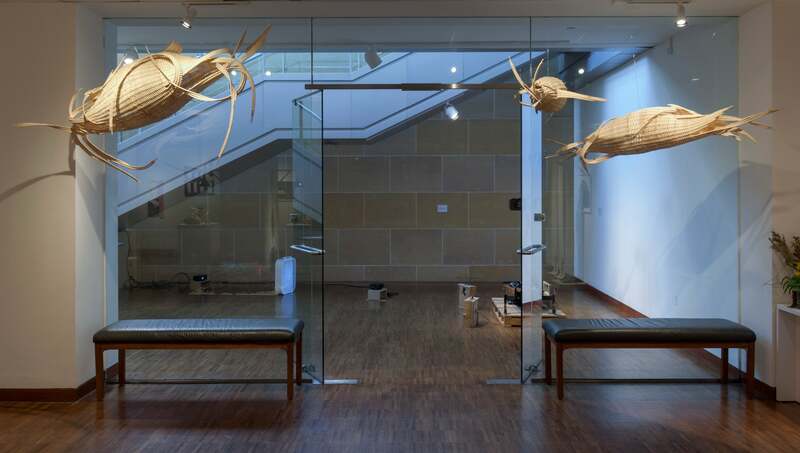 in Industrial Design, University of Cincinnati) is a multimedia kinetic sculptor whose absurdist work reflects the artist’s past experience as a toy designer. 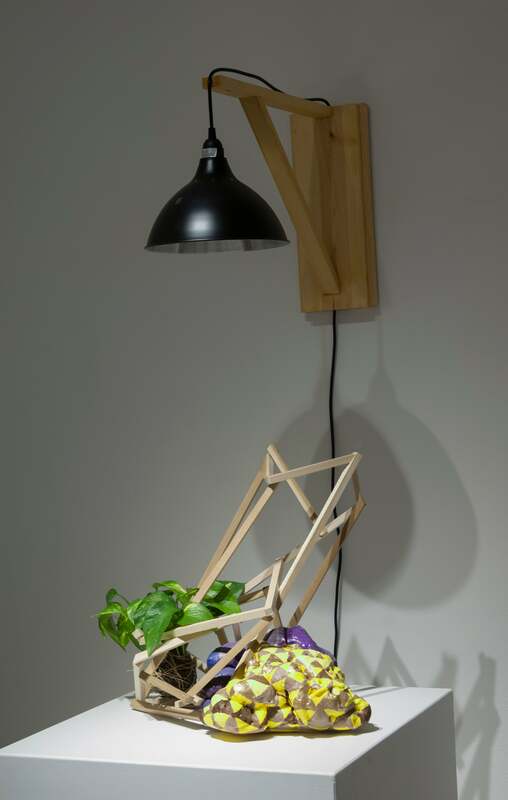 He has always loved working three-dimensionally with a plethora of materials. Mullaney has channeled his years of toy inventing into his ultimate creative outlet by crafting large-scale sculptures and installations. Elizabeth Runyon (B.M. 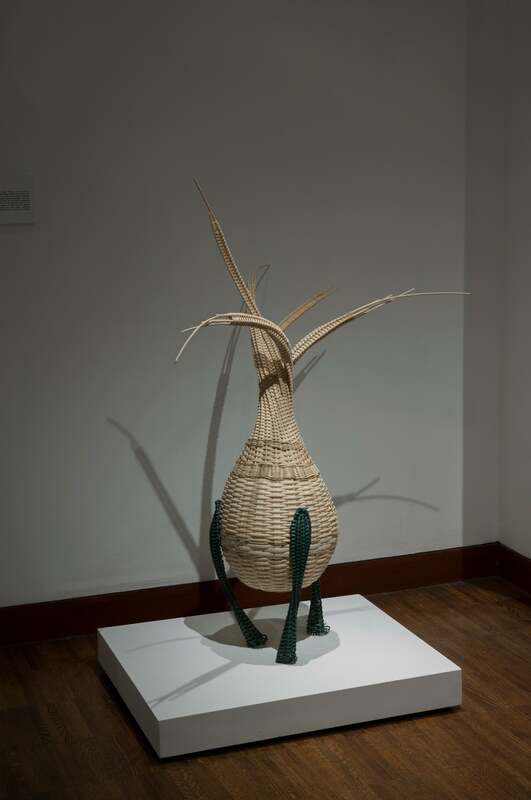 in music theory, University of Cincinnati) is a largely self-taught basket maker who allows the medium of reeds and seagrass to direct her process—creating works that are at once both beautiful and purposeless. 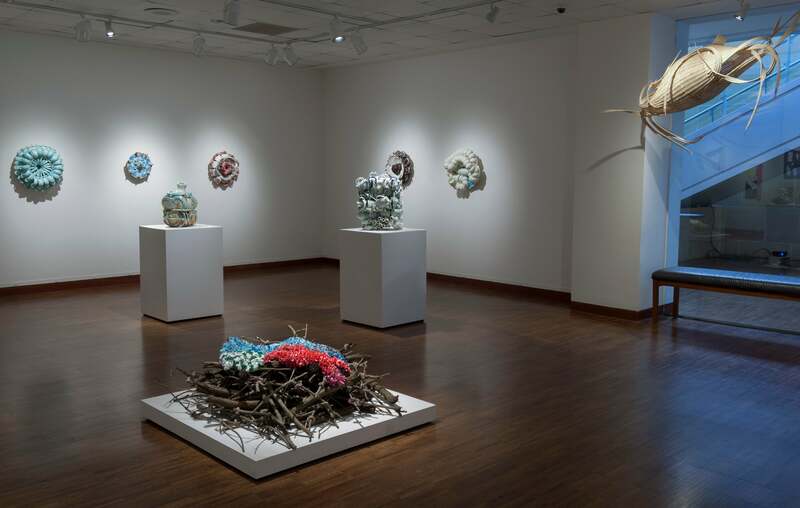 She first studied basketry in rural Butler County, OH, and was immediately attracted to the meditative nature of the weaving process and organic materials. 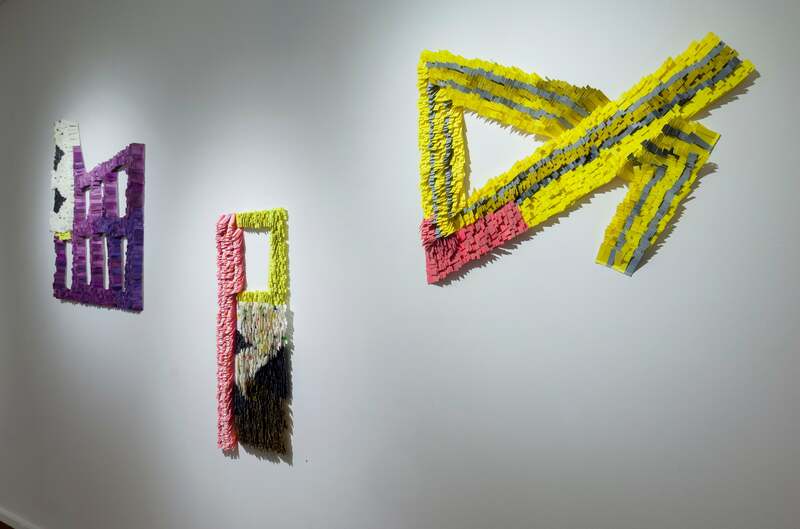 In 2011, she began to follow her own stylistic impulses, and since then Runyon has been using traditional Appalachian ribbed egg basket techniques to create large, abstract sculptural hanging forms. 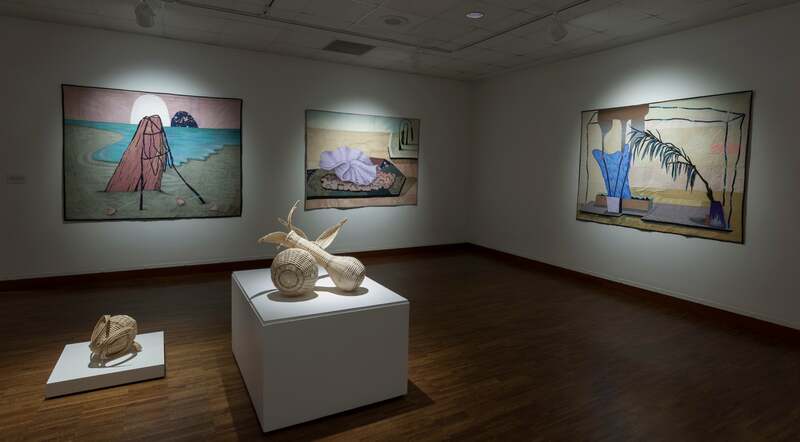 She has had several solo exhibitions and been juried into many regional shows. 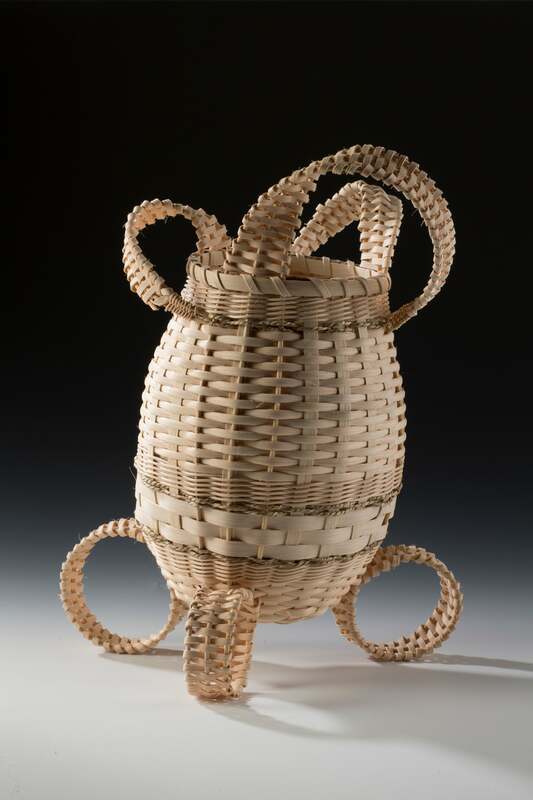 Currently, her work is included in the National Basketry Organization’s exhibition in Tacoma, WA. Runyon lives and works in Oxford, OH. Chris Vorhees (M.F.A. 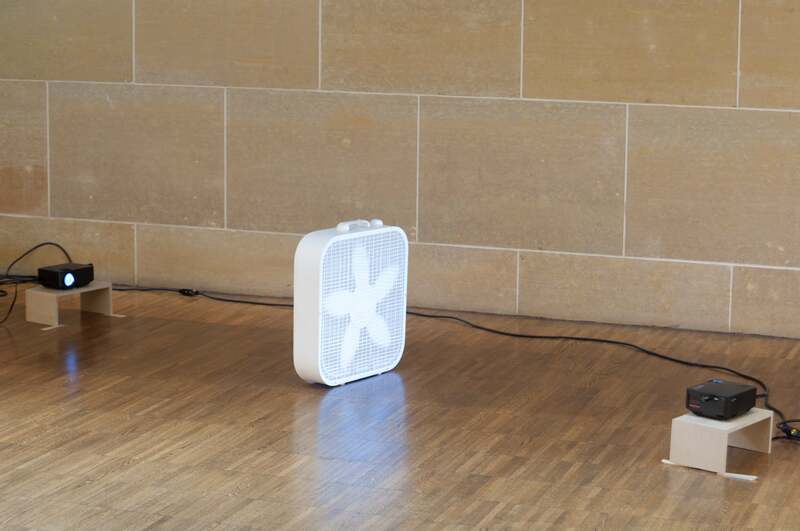 in sculpture, University of Washington, Seattle) is a sculptor whose work reflects an irreverence for the art object by subverting our ideas of what can be designated art. After a long stint as third baseman or shortstop for the band Freetoothpaste.com, Vorhees turned to zine making and cassettes. His Weather Critic series has become a cult favorite among most people who read it. 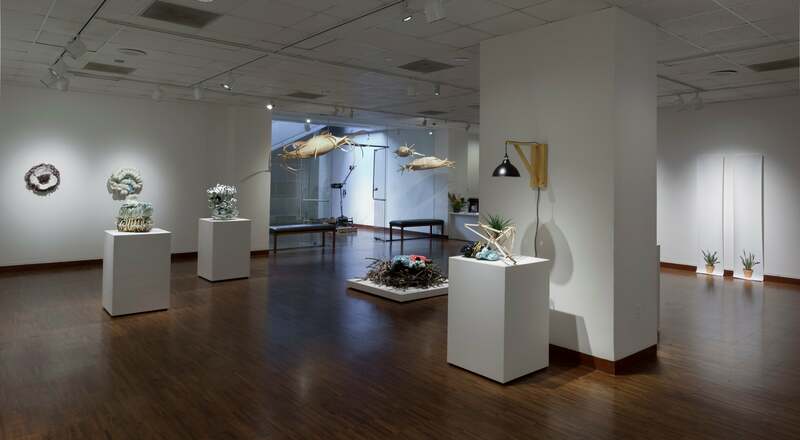 Exhibiting primarily as a carpenter, Vorhees shows extensively in many private residences as well as museums, storefronts, and backyards. He lives and works in Zionsville, near Carmel, IN, near Indianapolis, IN. 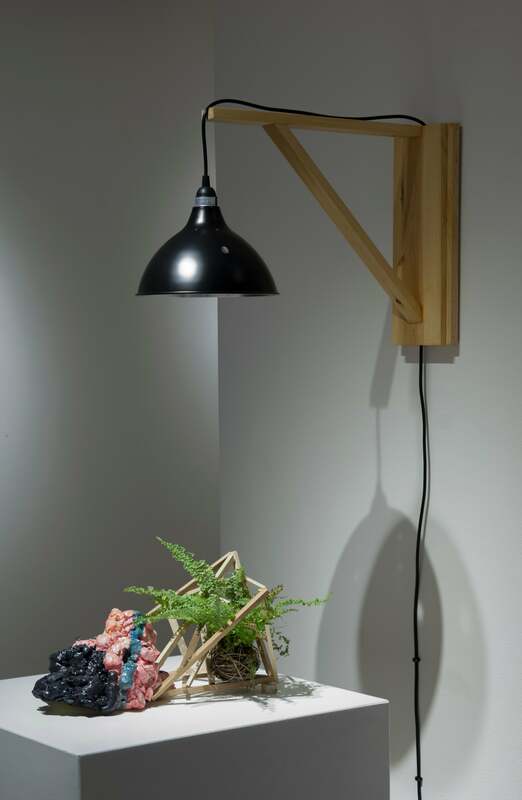 Allison Wade (M.F.A., Fiber and Material Studies Department, School of the Art Institute of Chicago) is a visual artist working in sculpture and drawing who makes immersive, sculptural, and painterly freestanding vignettes—pushing viewers’ ideas about the boundaries between fine art and functional objects. 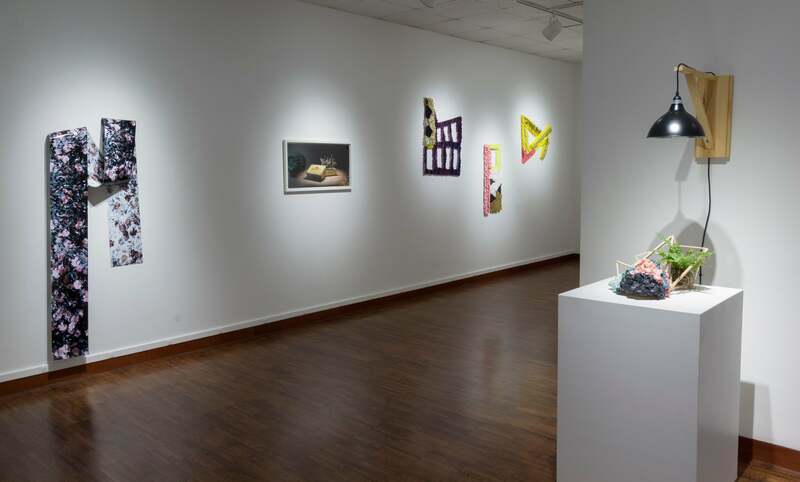 Her recent solo exhibitions include shows at Devening Projects (Chicago, IL) and Trinity Christian College (Palos Heights, IL). 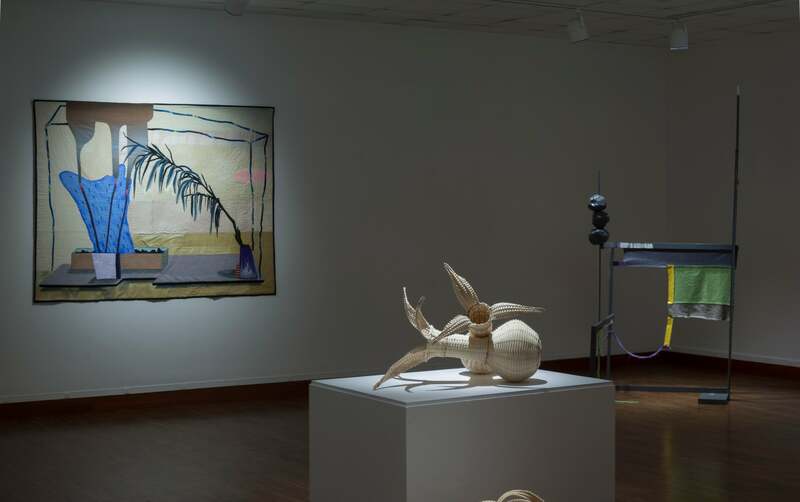 Wade has been awarded residencies at Ox-Bow (Saugutuck, MI); ACRE (Steuben, WI); Mustarinda (Finland); and the Vermont Studio Center (Johnson, VT). 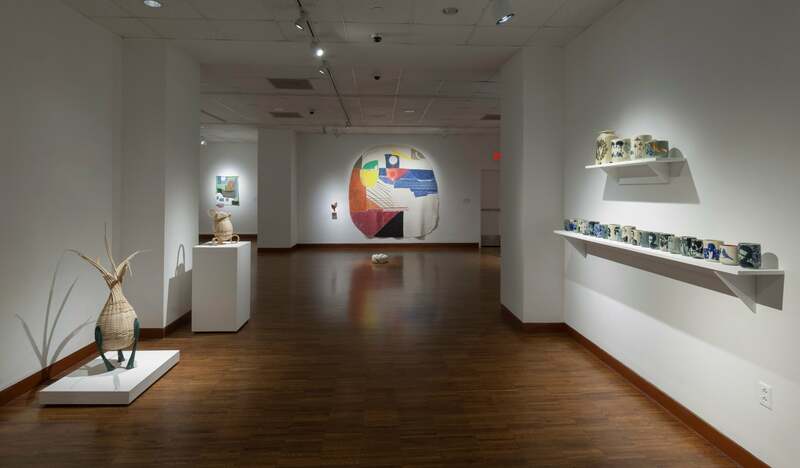 She has been a visiting artist at Miami University (Oxford, OH); Rhodes College (Memphis, TN); the Cranbrook Academy of Art’s Ceramics Department (Bloomfield Hills, MI); and the School of the Art Institute of Chicago’s Interlink program. She lives and works in Chicago where she is a Lecturer in the Department of Art Theory & Practice at Northwestern University. Maria Seda-Reeder (M.A. in Art History and Museum Studies certificate, University of Cincinnati) has worked as a freelance writer, independent curator, and arts educator for nearly fifteen years. 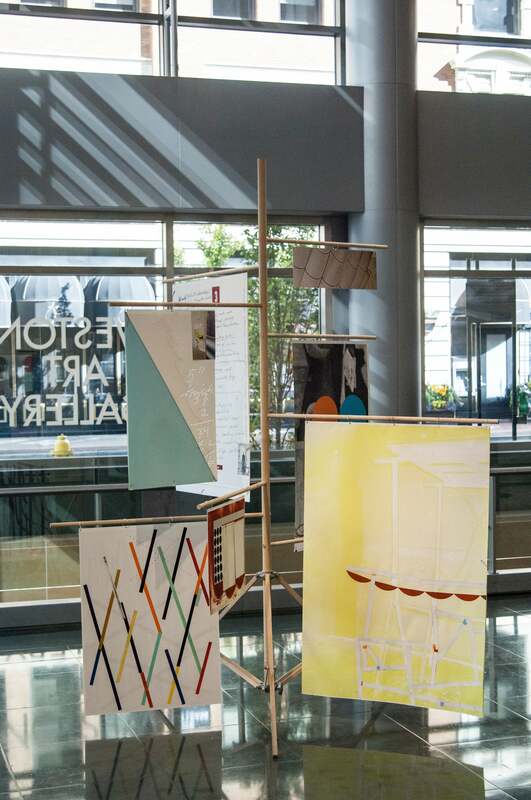 She currently serves as Exhibition Coordinator at Wave Pool Gallery (Cincinnati, OH) and Adjunct Lecturer at U.C.’s College of Design, Architecture, Art & Planning. 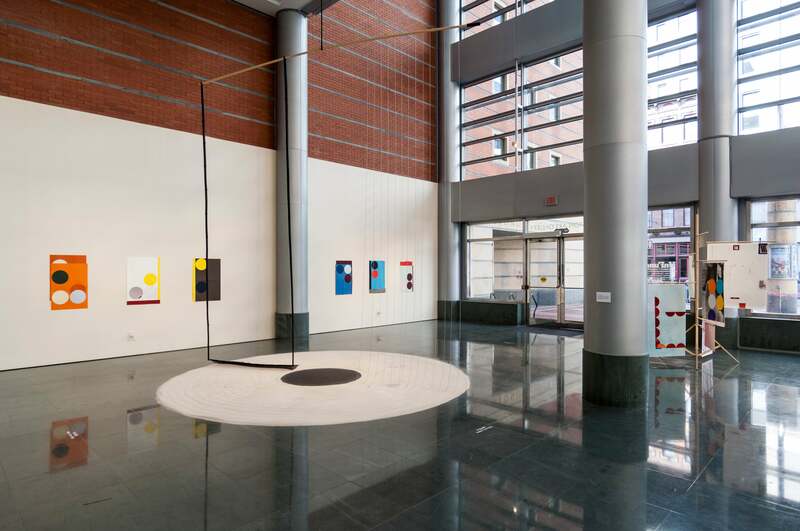 Seda-Reeder has worked for the Cincinnati Museum Center, the National Underground Railroad Freedom Center, ArtWorks, and the Contemporary Arts Center (all Cincinnati, OH). Since 2009, she has written critically about art for various local and nationally based publications and is Editor of the U.C. student-led online arts publication, FieldTrip. 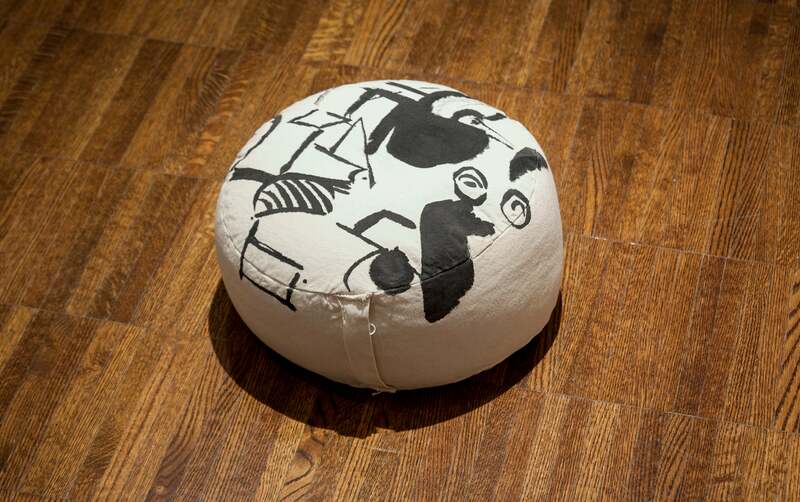 Seda-Reeder was a founding member of both Near*By Curatorial Collective and the FemFour. 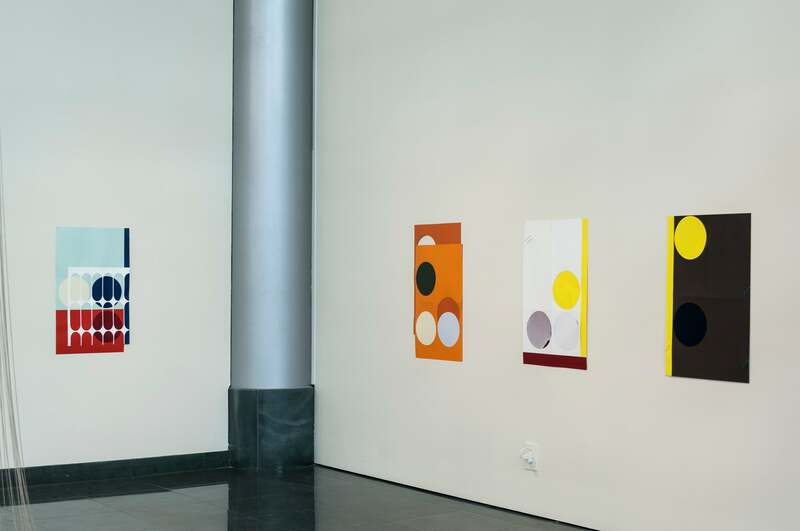 Much of her work as a curator involves working with, and on behalf of, artists.